If bizarre, old-man humor is your jam, we’ve got excellent news for you. The hit Broadway comedy Oh, Hello is wrapping up its 120-show run this month, and one night’s performance will be taped for future broadcast. Win! 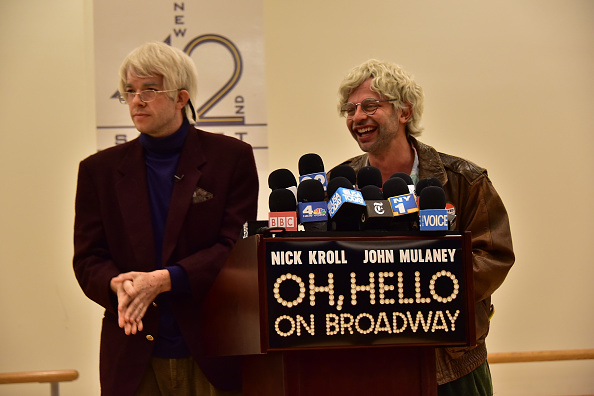 For the uninitiated, Oh, Hello is a stage show starring Nick Kroll and John Mulaney as Gil Faizon and George St. Geegland, two crotchety, 70-something New Yorkers who have shared an apartment for the past 40 years and host a prank show on local cable-access TV called Too Much Tuna. The basic premise of #2much2na (haha, get it?) is getting celebrity guests to say “it’s too much tuna” when presented with a massively overstuffed tuna fish sandwich. Quirky? Yes. But somehow, it totally works. Check out Leslie Jones pranking the pranksters in the video below to get a sense of Oh, Hello‘s vibe. If you’ve ever watched Kroll Show on Comedy Central, you may have seen Gil and George doing their thang. 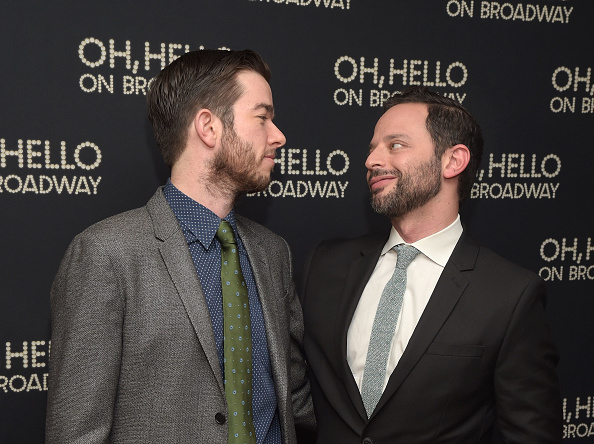 Kroll and Mulaney, who have been friends since college, have been inhabiting these characters for about 10 years, presenting them off-Broadway, on a national tour, and on Kroll’s eponymous show.